As traditional and known reserves deplete and ore-grades fall, miners will start exploring remote and previously inaccessible locations. In addition rising mineral prices will enable riskier projects to gain commercial viability, significantly rewarding pioneers with the technological know-how and capital. Arctic mining is thus far the most developed venture of the three, and melting ice due to climate change will open trade routes north of the 60-degree line of latitude, all of which will catalyse this trend. The major countries with Arctic coastline, namely Canada, Russia and the US, rank highly on the BMI Mining Risk/Reward Index, which quantifies the attractiveness of mining investment destinations, indicating stable operating environments and significant reserves for project development. 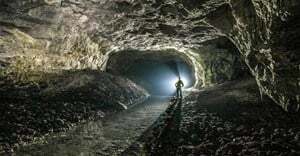 Demand for rare earths and precious minerals will make the commercial viability of deep sea mining more attractive as land-based reserves struggle to meet demand from new centres such as batteries and electric vehicles (EVs). As prices for minerals like copper, cobalt and lithium increase and supplies tighten, we expect miners with the capital might and technological know-how to explore this frontier. However, an expedition due to start in 2019 off the coast of Papua New Guinea by Canadian miner Nautilus Minerals has run into financial difficulty. Environmental criticism will remain the major impediment to deep sea mining in future. Space mining will become increasingly mainstream within the next two decades as a necessary tool for the rapidly expanding space industry and a viable long-term solution to depleting ore reserves on earth. However, asteroid mining exploration projects scheduled to start shortly after between 2019 - 2020 through Deep Space Industries and Planetary Resources have been shelved for now. Increasing levels of investment and innovation among private players will dramatically improve the cost-efficiency of space missions, while government support continues to grow. However, regulatory uncertainty surrounding still-nascent commercial space mining activity will be a key constraint to the successful development of the industry.